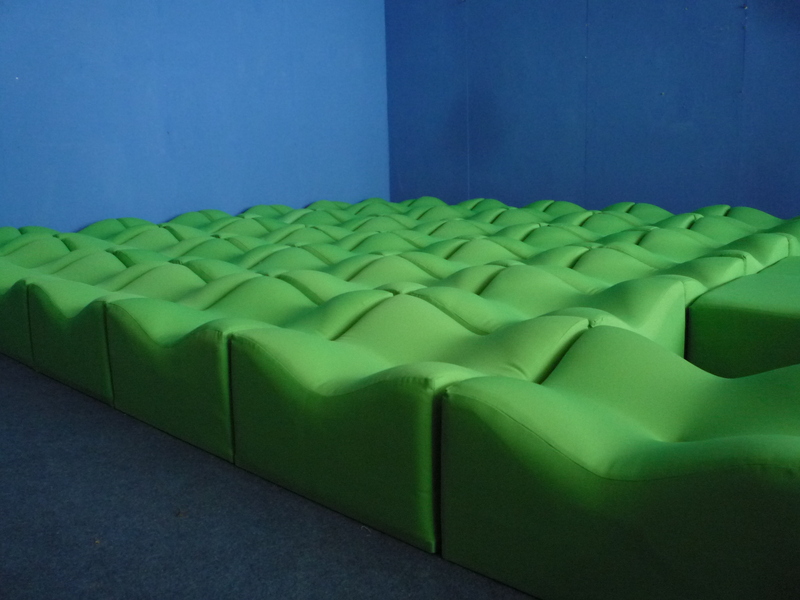 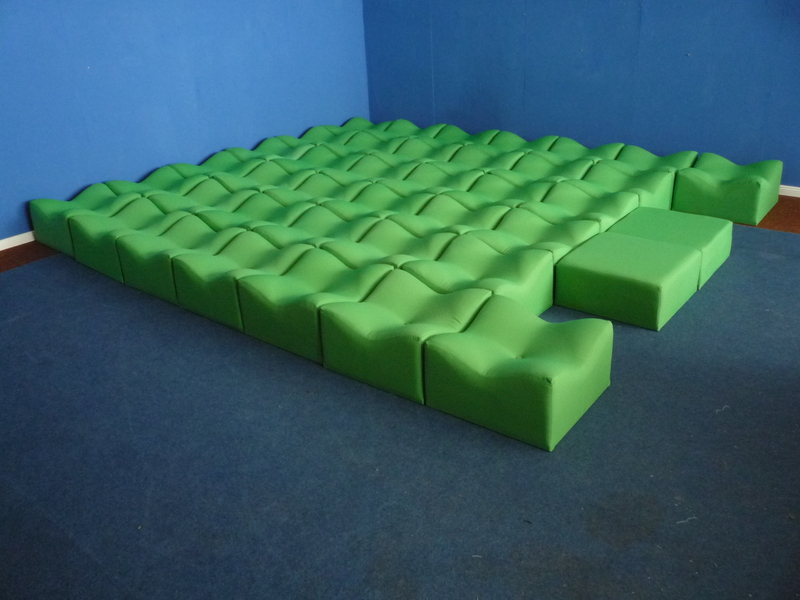 Sensational seating landscape of Ronald Koop Germany. 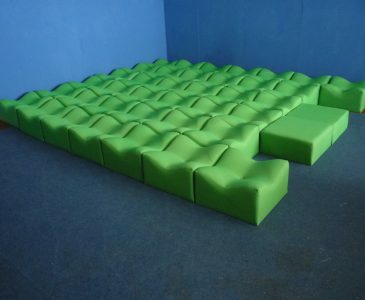 The design was awarded in England in 1975 with a design award. 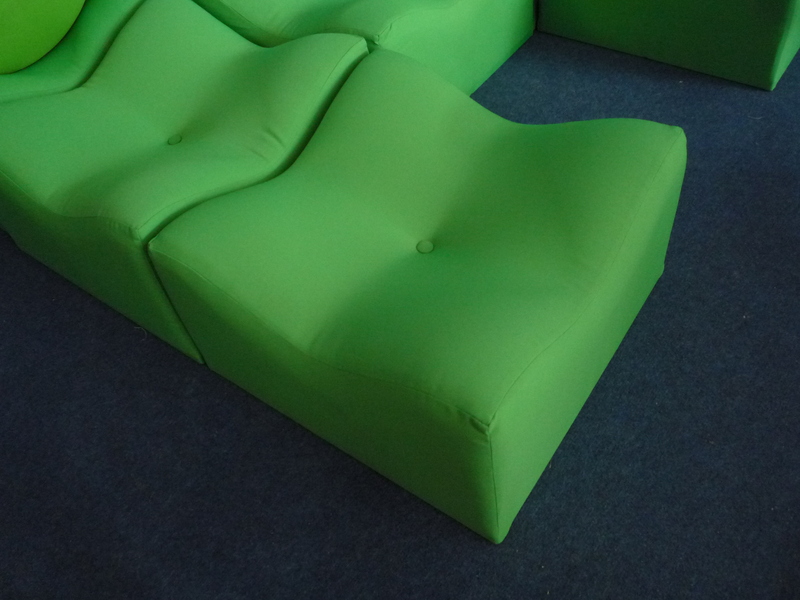 From first owner and 1973 bought in Berlin. 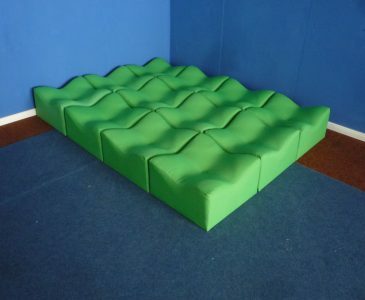 Very rare and perhaps the last of its kind in the world. 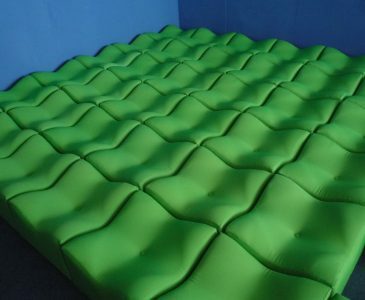 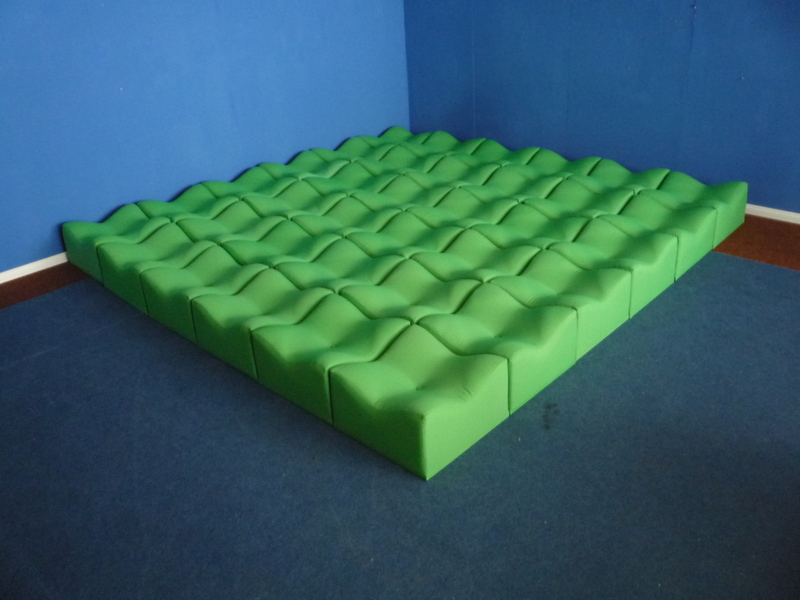 Material: foam covered with fabric on wooden plate. 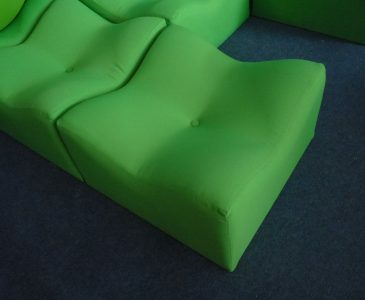 Color: seat elements apple green. 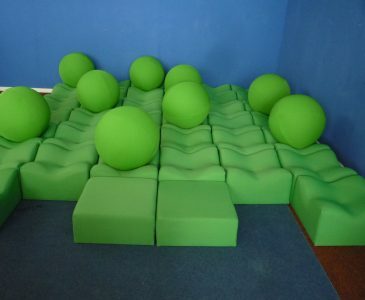 Balls frog green. 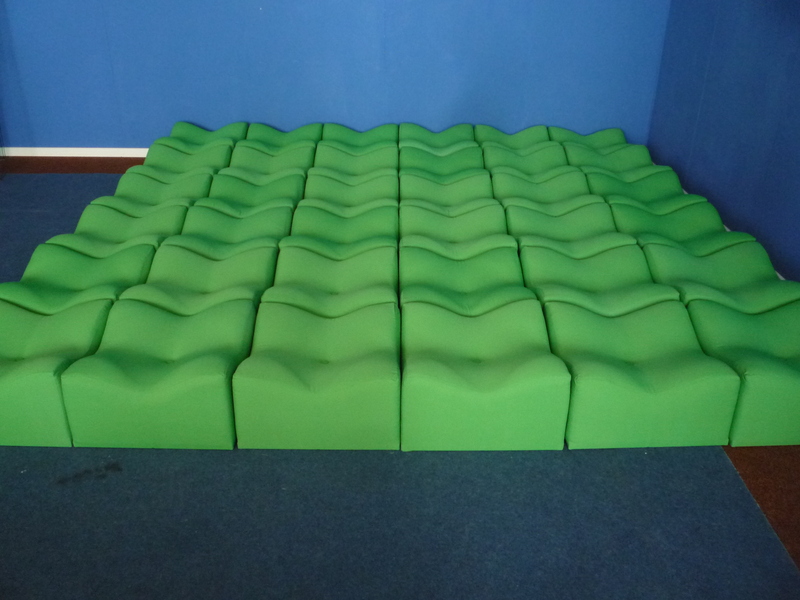 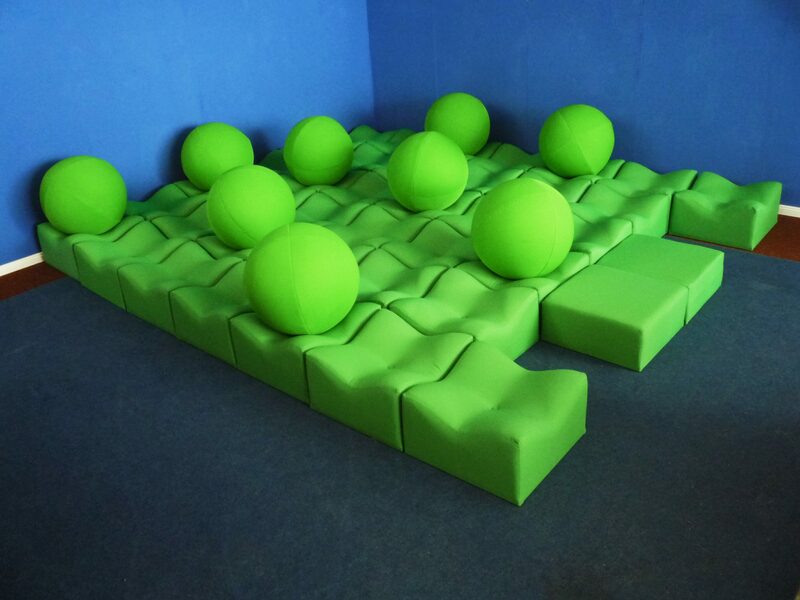 There are a total of 40 seating elements and 9 round balls. 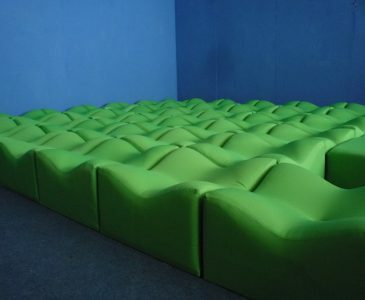 Several metal hooks connect the seating elements. 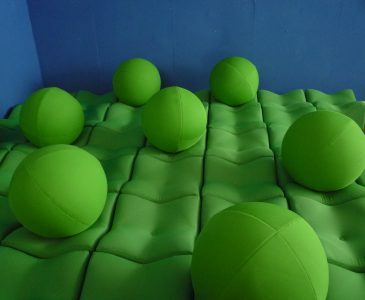 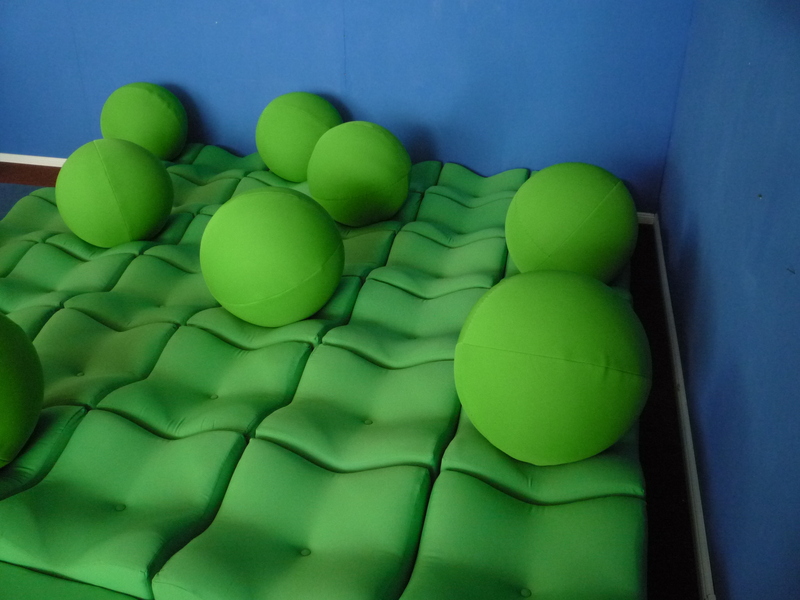 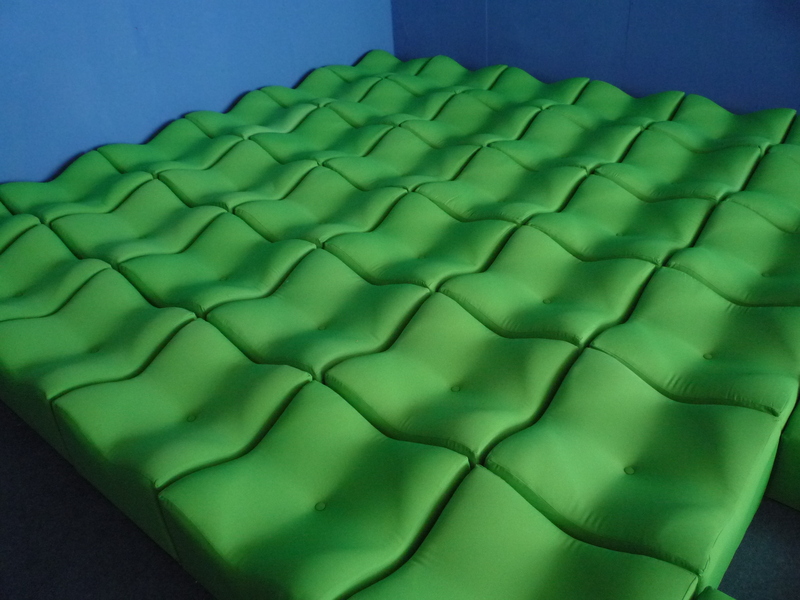 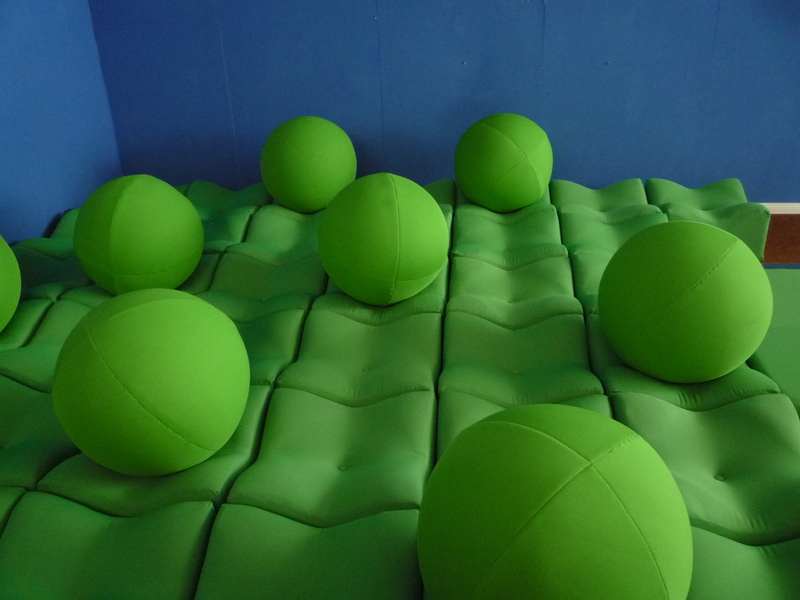 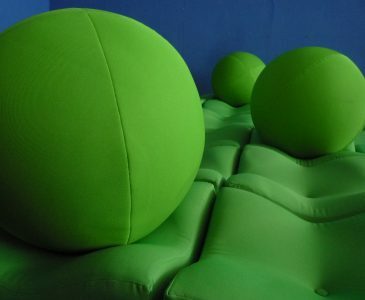 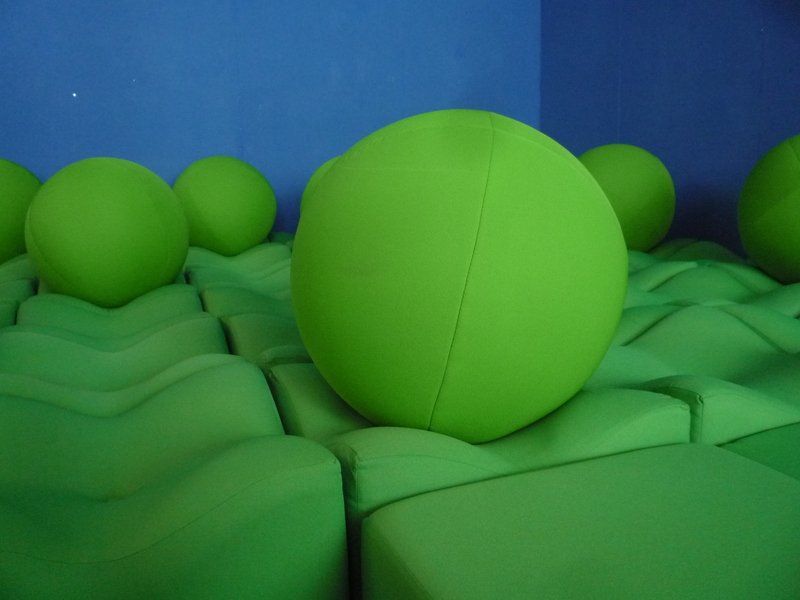 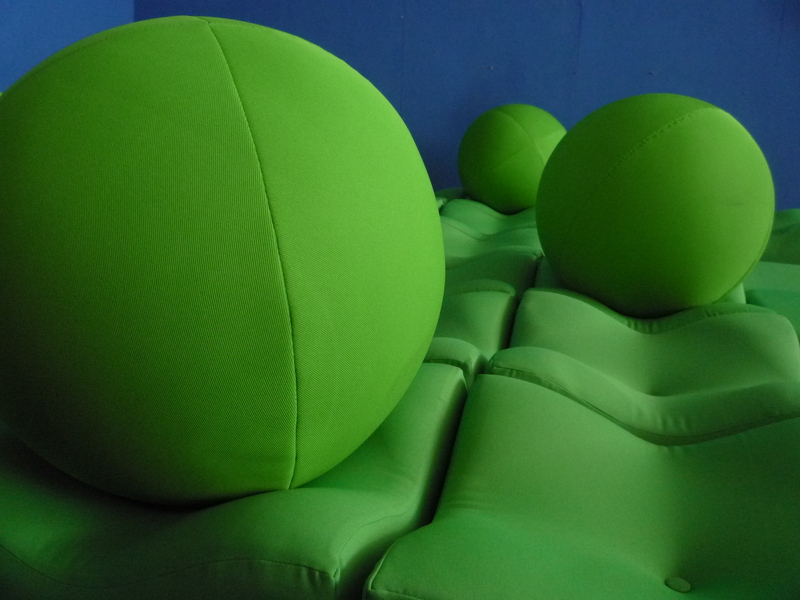 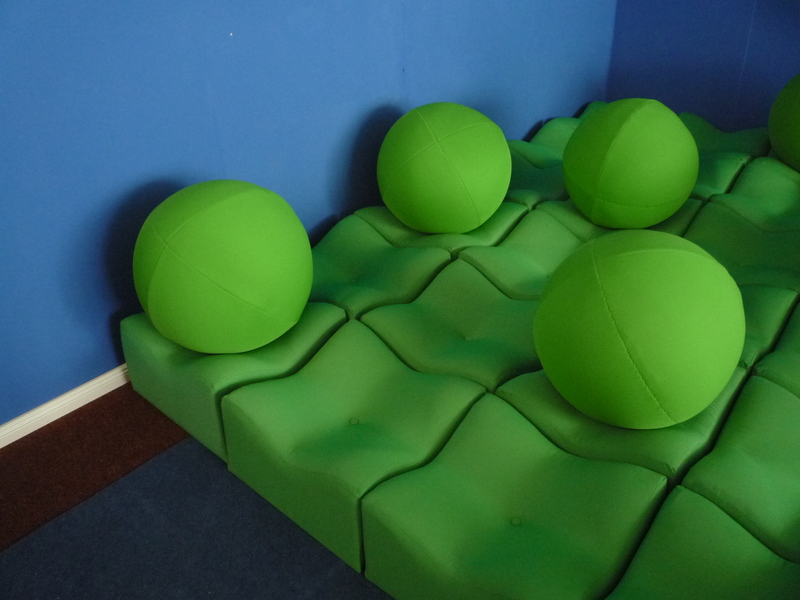 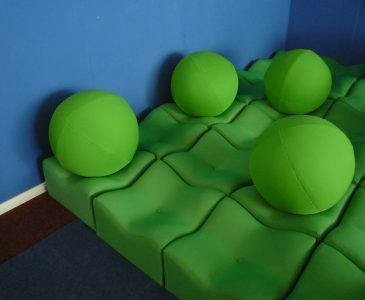 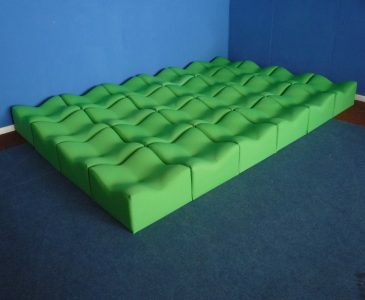 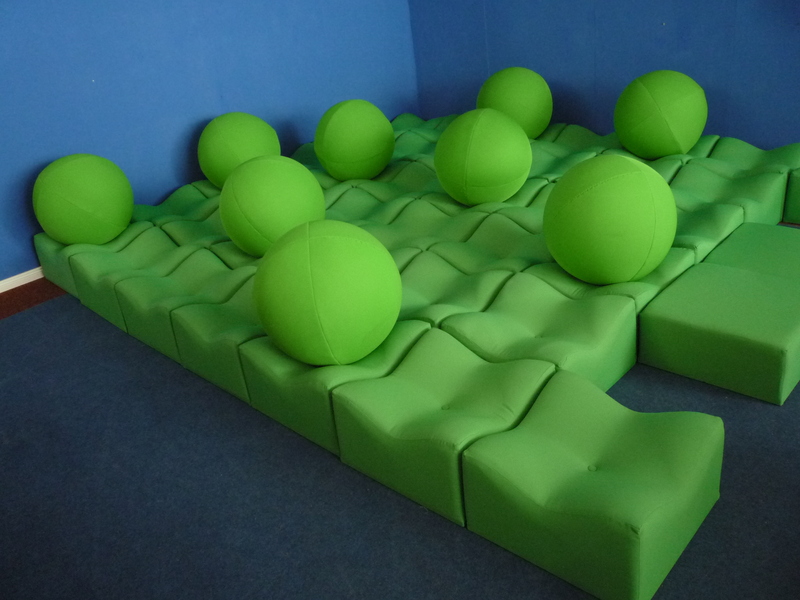 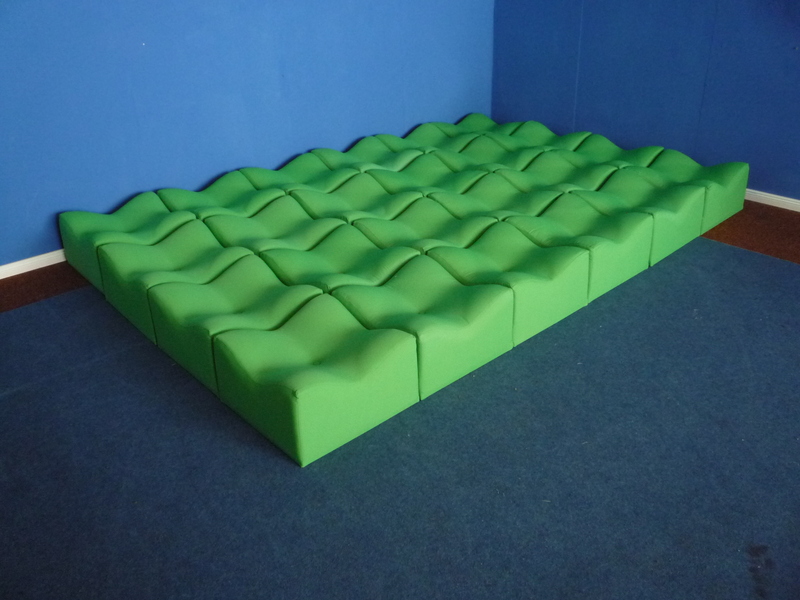 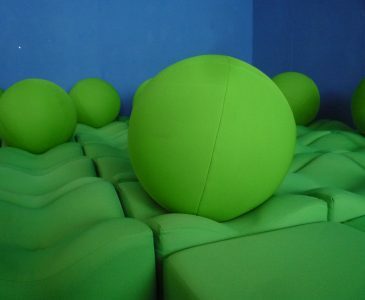 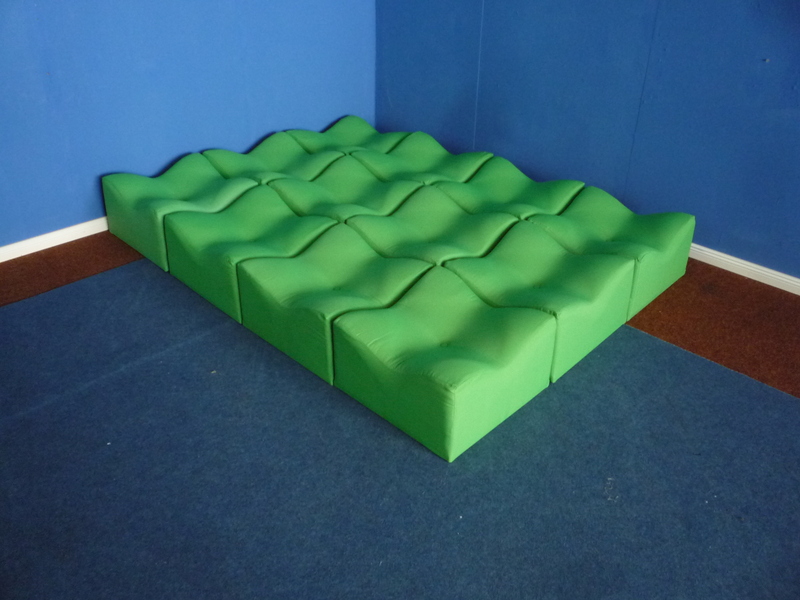 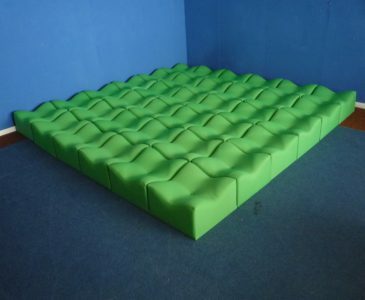 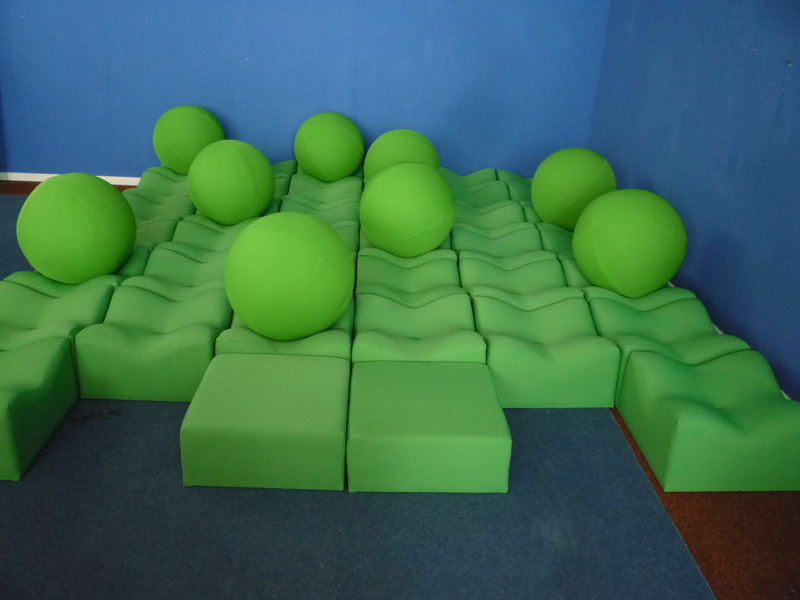 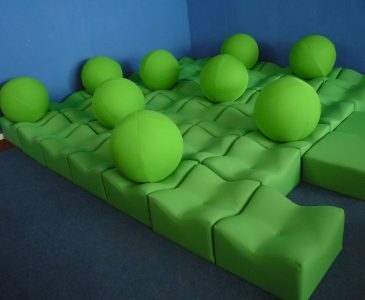 Seating elements and balls were clad with a sturdy fabric. 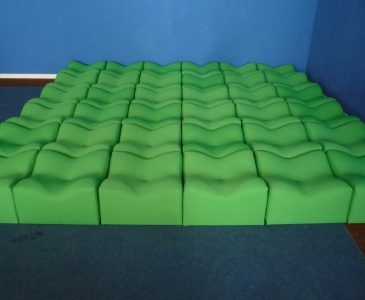 Top condition and ready to use.